Post about Cydia themes here. blAze Pinki've looked into a lot of themes, and this is the best I've found for my tastes. 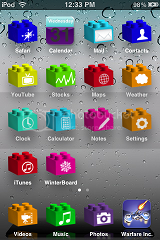 It animates your system icons and a few popular Cydia icons like winterboard. And yes this is really a theme not a tweak. 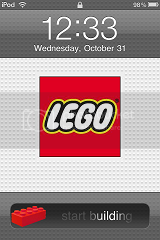 A WinterBoard theme that changes the loading animation. The animation is now the settings icon with the cogs spinning. A theme that have you an animated home screen background. Here are two screenshots of that theme. One is the lockscreen and the ither is the homescreen. It could be done fairly easily. If you're willing to pay, look for "Doppler."